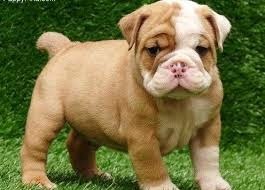 Bulldog commonly referred to as the English Bulldog. 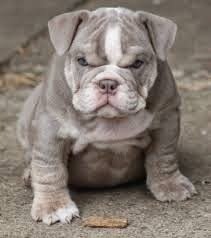 Other Bulldog breeds are American Bulldog, French Bulldog, British Bulldogs (game) and Olde English Bulldogge. 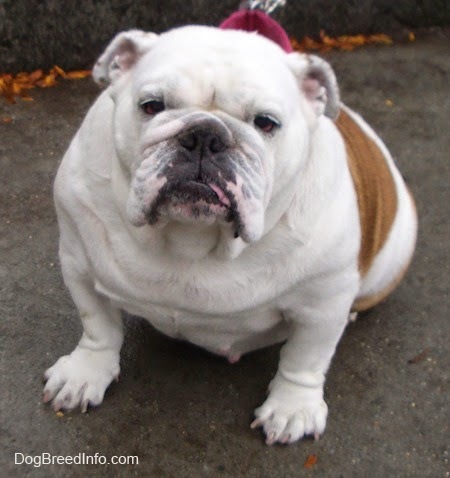 The Bulldog originated in the British Isles, descended from the ancient Asiatic mastiff. 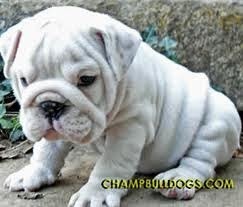 The Bulldog is a muscular , heavy dog with a wrinkled face and a distinctive pushed in nose. 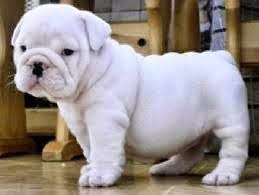 The English Bulldog is a wide, medium sized, compact dog with short legs. The rose ears are small, thin and set high on the head. The coat colours include red brindle and other shades of brindle, solid white, solid red, fawn, fallow, piebald, pale yellow or washed our red or white or a combination of these colours. 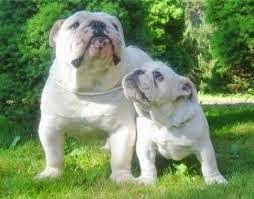 The height of Bulldog is 12-16 inches and weight male 24-25 kgs and female 22-23 kgs. The Bulldog is good for apartment life. This breed is an indoor dog. Bulldog do best in temperate climates as the breed can chill easily in cold weather and have trouble cooling off in very hot weather. The Bulldog need exercise daily walk for fulfill need of the body. 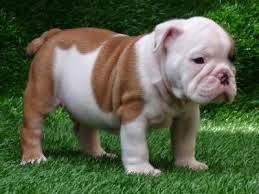 Bulldogs are one of the few breeds whose tail is naturally short and either straight or screwed and thus is not cut or docked as with some other breeds. A straight tail is a more desirable tail according the breed standard set forth by the BCA. The English Bulldog is the dog breed of extremes par excellence : considered by some, the most ugly and by others, the most beautiful dog , with one of the most ferocious history in dog dom. It is also one of the few breeds symbolic of a nation, chosen as an emblem by individuals and organizations all over the world. Etymologically, Bulldogs owe their name to the fact that they were once used to guard, control and bait bulls. Bull baiting was considered a “ sport” and enjoyed great popularity in the middle ages among noblemen and royalty. The bulldog’s fighting dog ancestry is still noticeable in some aspects of their character and temperament. Bulldog may have genetic defects like all other dog breeds some health problems include dermatitis, démodétic mange, eye lid anomalies, hip dyspepsia, elongated soft palate, small trachea, allergies and heart problems. The life expectancy is 8-10 years. 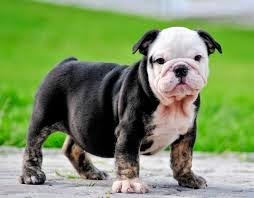 There are a wide range of techniques for miniature english bulldog for sale and proposals normally shift contingent upon the age of the pooch and the seriousness of any undesirable conduct that has effectively created.